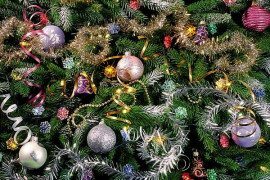 As we head into the second and third weeks of December, those old boxes with Christmas ornaments that were tucked away for a good year or so start to come out. 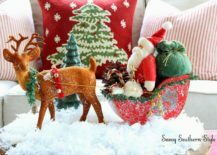 It is often a trip to the attic, basement, that over-crowded closet that holds everything you never need or the garage corner. 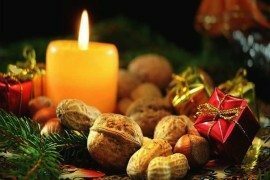 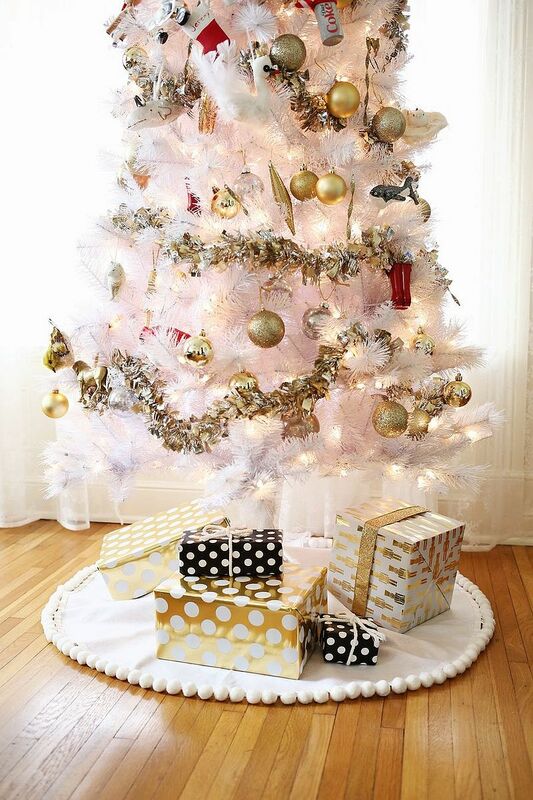 But each year, you also think about adding something new and special to the Christmas decorating scheme; a fabulous decorative piece that is unique and exceptional. 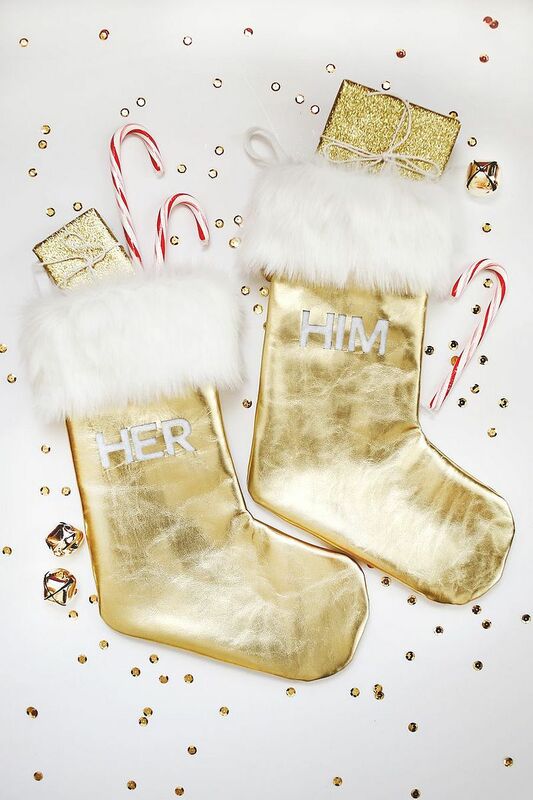 Sure, a trip to your nearest store might just about help out. 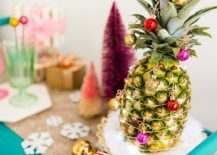 But for the absolutely perfect Christmas decorations that exactly fit into the decorating theme, it is DIY ideas that work the best. 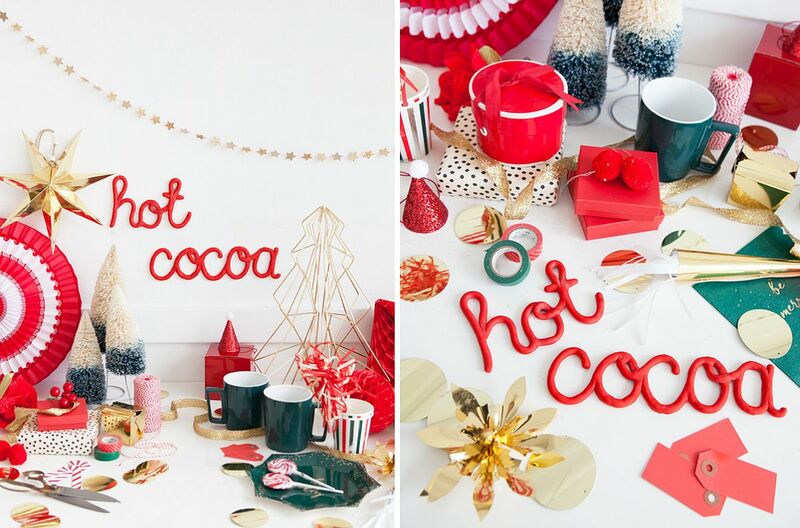 And as always, we are here to bring you the easiest and most affordable DIY Christmas decorations around. 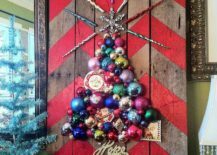 Let us start off with the most important piece of the Christmas decorating jigsaw of them all – the Christmas tree and its decoration. 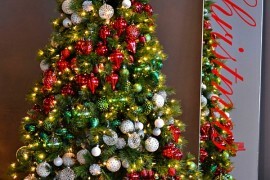 If you do not have the space or the time for the traditional Christmas tree, then it is time to think about smart modern alternatives. 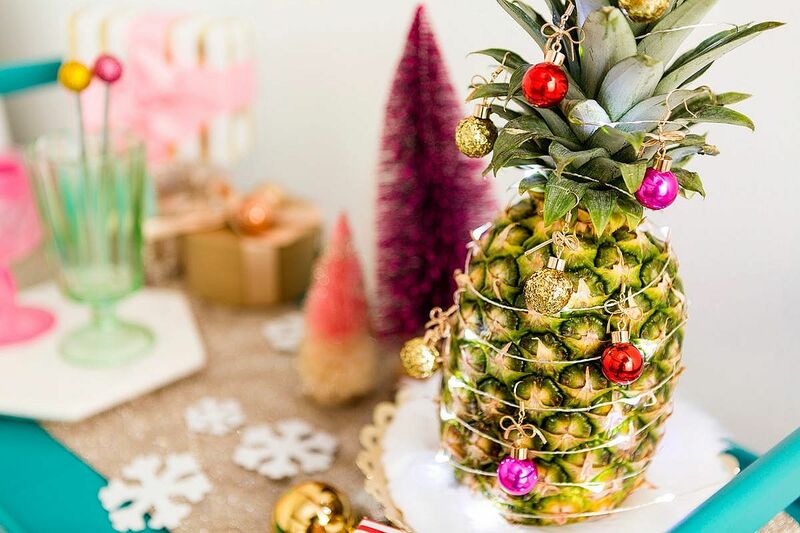 Pineapples decorated with sparkling lights and Christmas ornaments are a hot trend this season and they apparently can replace your Christmas tree as well! 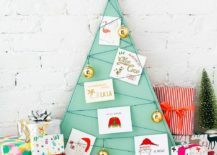 Of course, for many us, the traditional Christmas tree is simply irreplaceable and you can start with something as simple as the Felt Christmas tree skirt to create a niche for it next to the window. 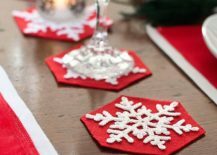 Crafting a No-sew and easy Christmas tree skirt is not hard at all and takes absolutely no time to craft whatsoever. 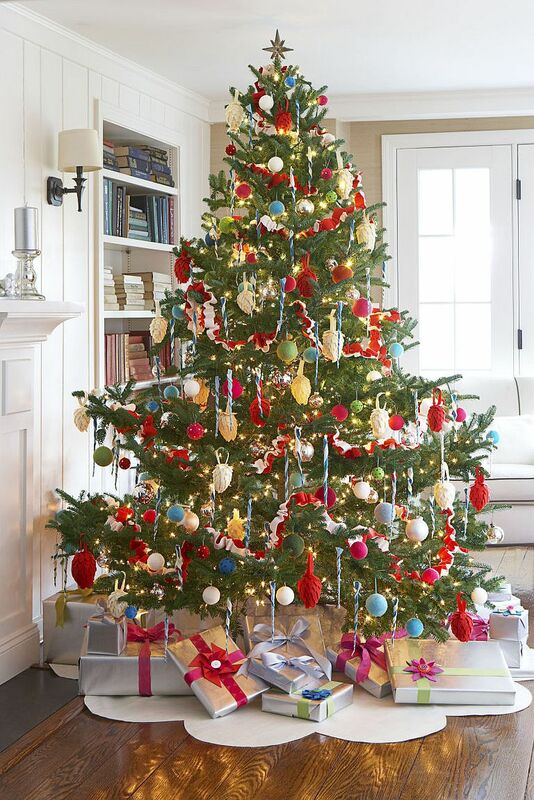 It gives you a perfect place to place all those gifts under the tree and makes the entire area seem more organized and refined. 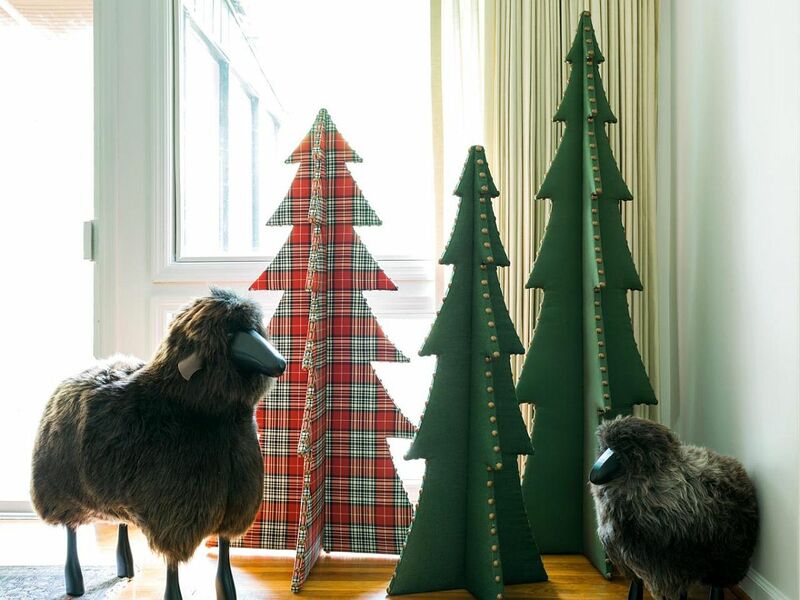 And right next to your lovely Christmas tree can be a pedestal with Yarn and Button DIY Holiday Topiaries that complement it elegantly. 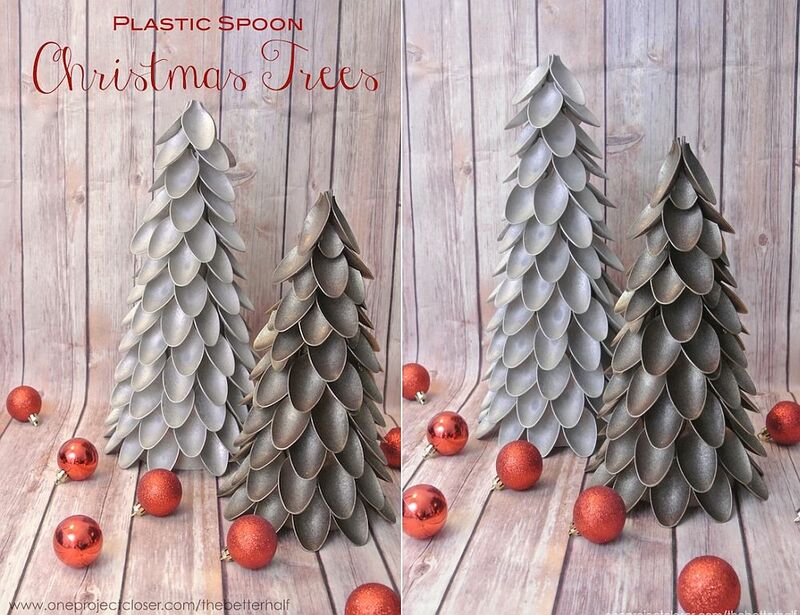 Those searching for alternative Christmas tree ideas beyond the pineapple craze can try out the plastic spoon tree idea or even the more elaborate Upholstered trees. 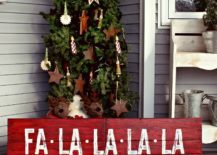 It is time to make things big and bright as the festive season rolls ahead and custom Christmas-themed signs are a great way to do it in style. 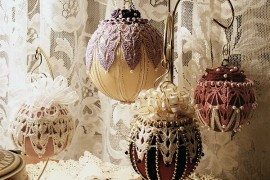 They can be crafted mostly using stuff that you already have and they take actually far less work than one would imagine. 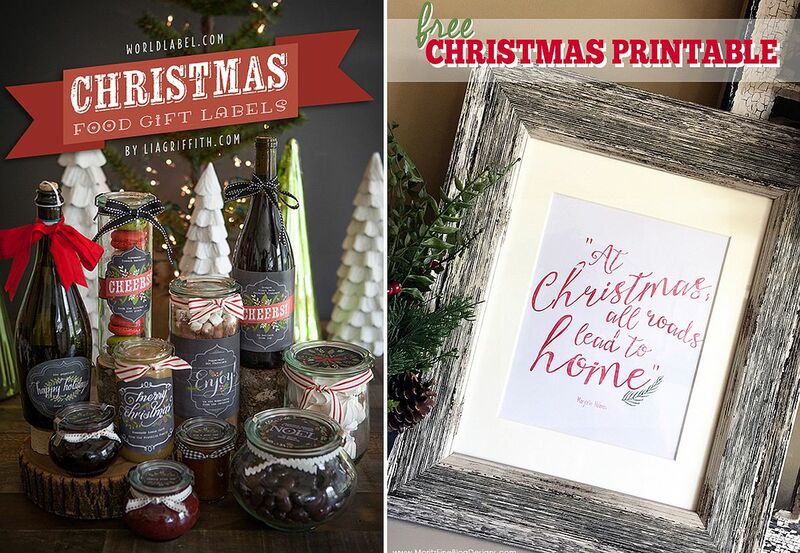 Whether it is a bold sign that spells out JOY or one that wishes a very merry Christmas to friends and family, adding these lovely and seemingly vintage signs is perfect way to enliven your home. 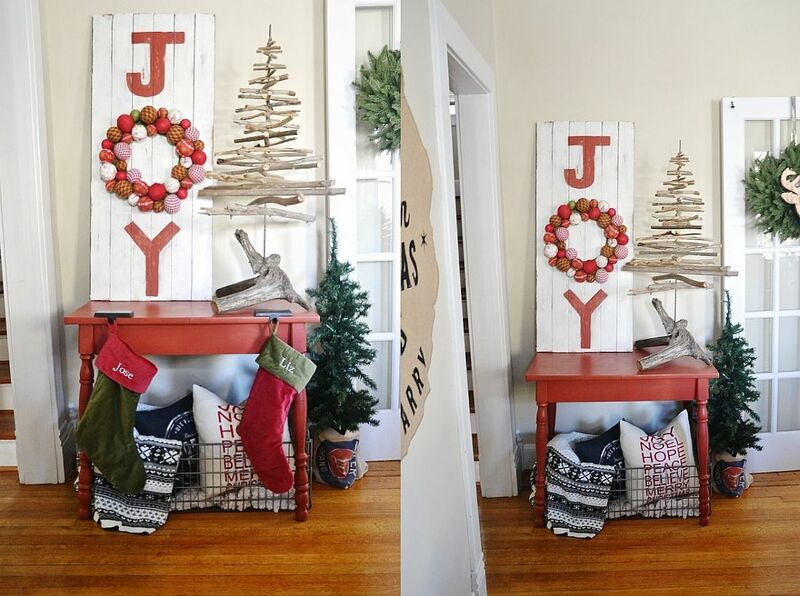 (or even the entryway). 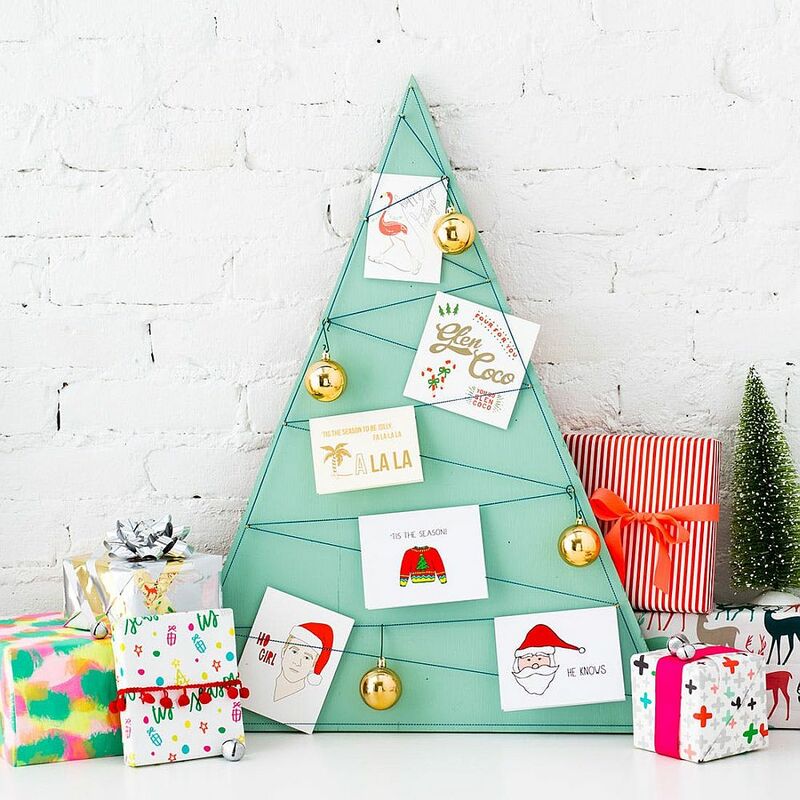 Taking rustic wooden signs in a different direction is the gorgeous Chevron-striped wooden board with a Christmas tree crafted using glittering baubles and shiny ornaments. 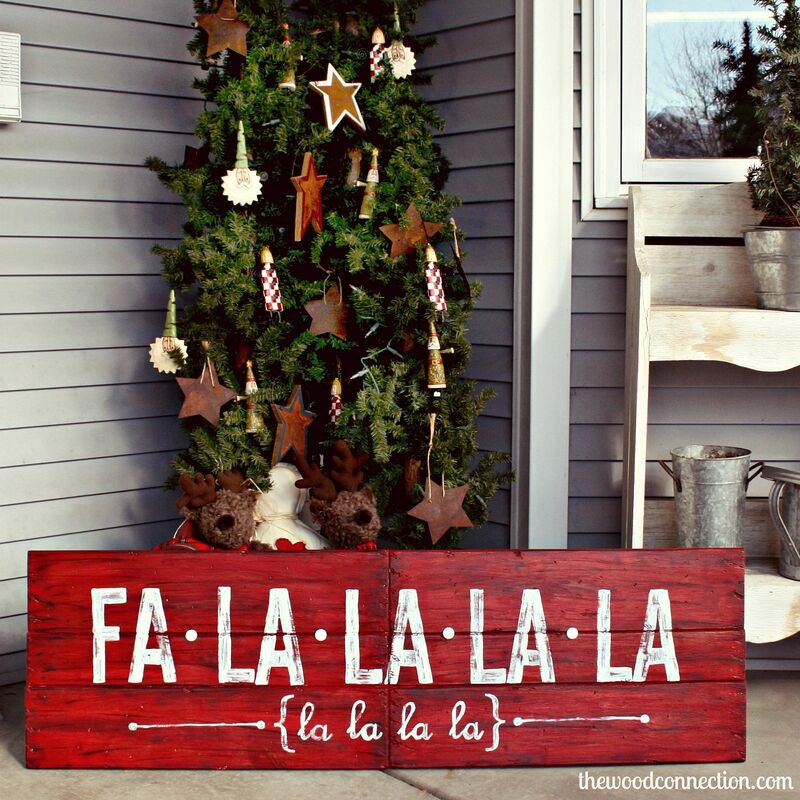 It sure beats a boring sign and combines sparkle with plenty of traditional, rustic charm. 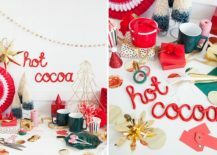 DIY clay words offer an even simpler alternative for those looking to say it out loud while a festive holiday cards display doubles as a great addition that steals the spotlight despite its modern and understated appeal. 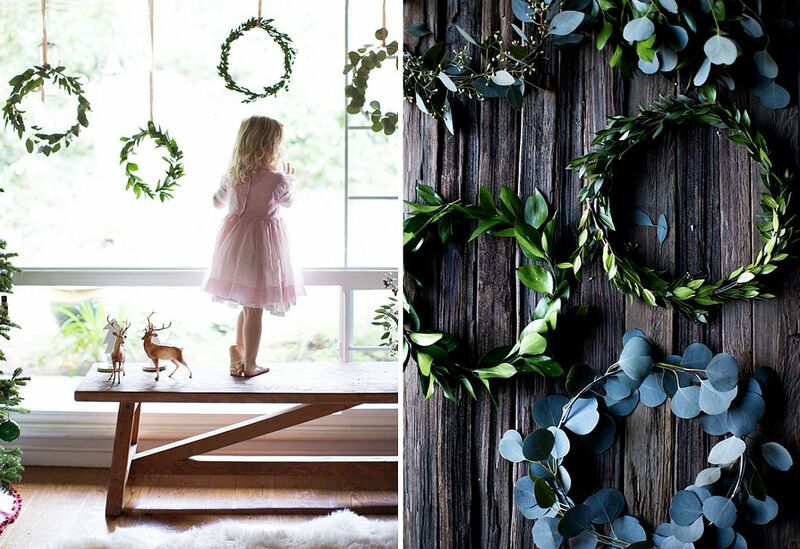 We love a good wreath as the colors outside change and early fall takes over. 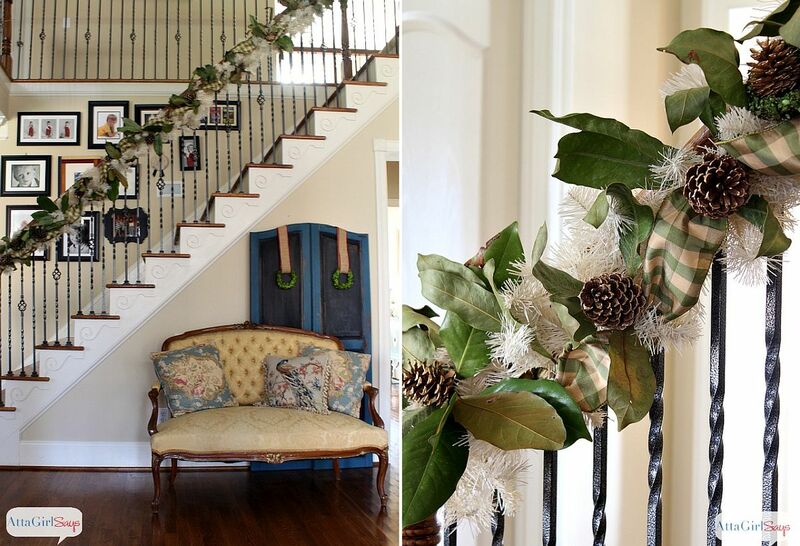 Of course, those orange-centric wreaths start to make way for festive designs in green and wreath as December arrives. 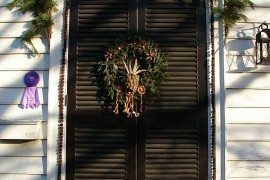 There are plenty of ways in which you can create a lovely Holiday wreath. 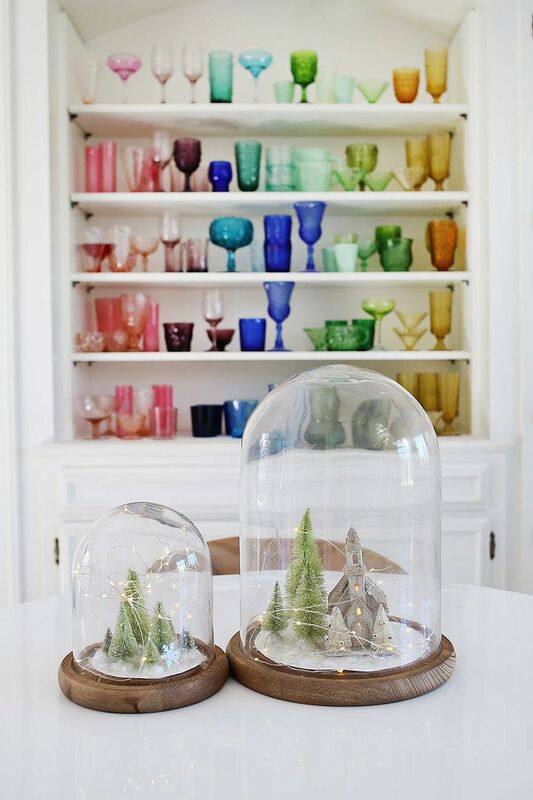 But few are as chic, understated and yet captivating as the DIY Mini Window Wreaths that you will see below. 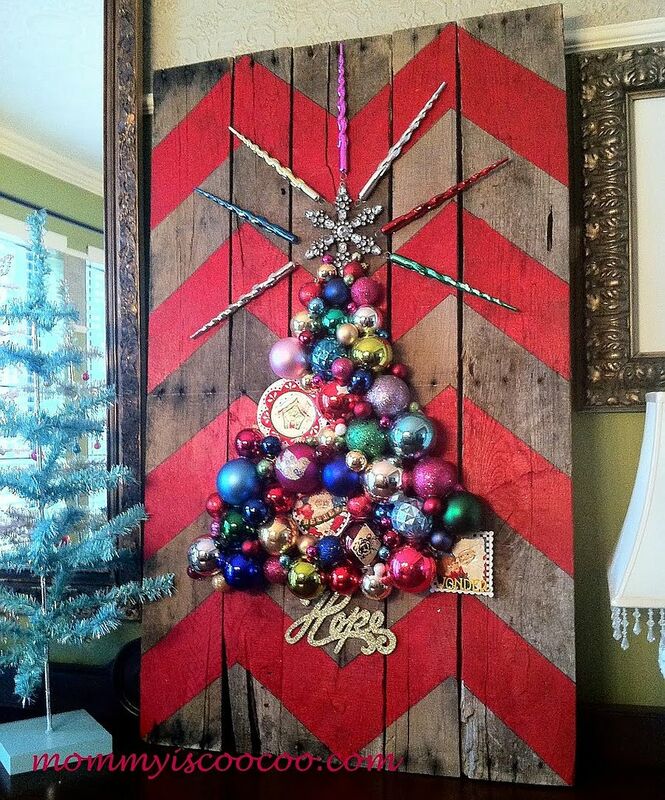 You can alter its design ever so slightly; add a tinge of gold or red to paint a merrier picture. 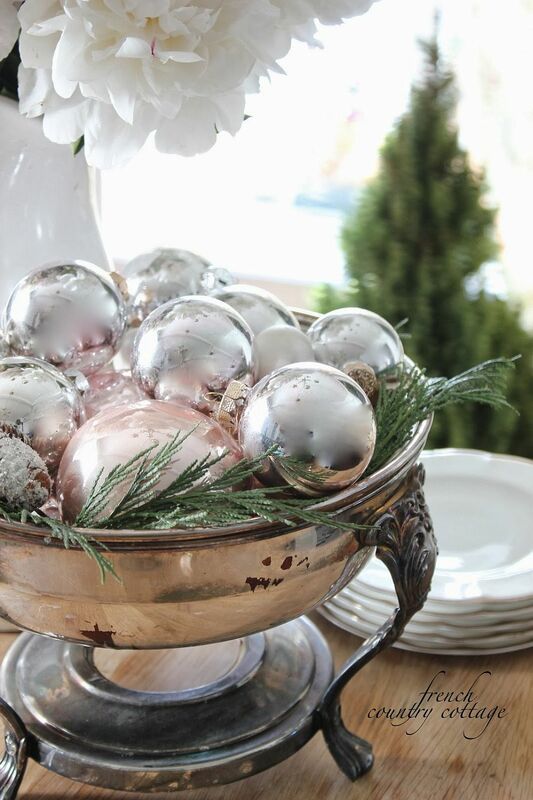 The same thing can be said for the Magnolia & Gilded Pinecone Christmas Garland – a lovely creation that would be even more impressive if you couple it with a few shiny Christmas ornaments! 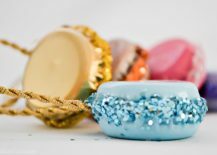 Then there is the scintillating French Macaron DIY Garland – a super simple creation that will captivate your guests and leave a lasting impression. 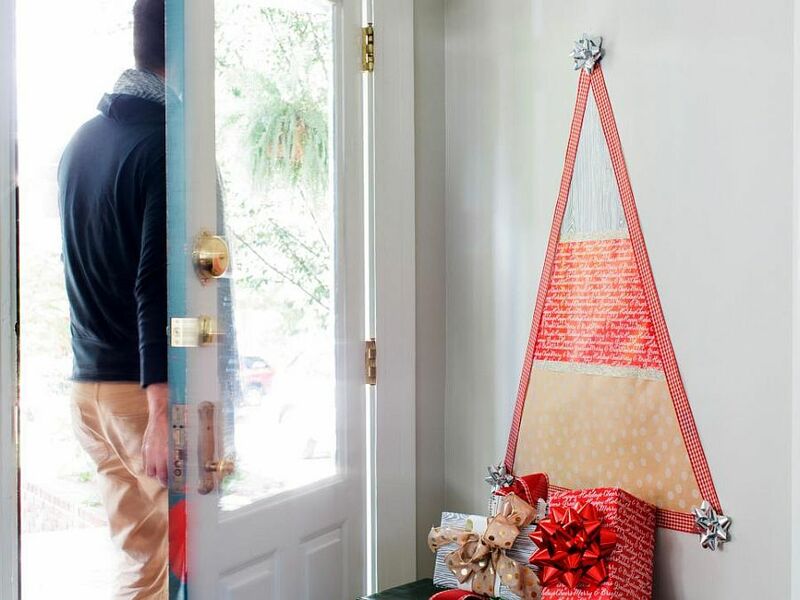 Ever tried decorating the house during the Holidays, preparing for a big family dinner even while handling two or three kids running around all the time? 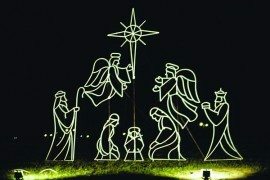 Yup, if you have a look of fear on your face, you probably been through it all! 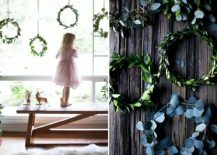 The best way to handle this situation – just let the little ones be your special helpers with some easy Christmas DIY decorations. 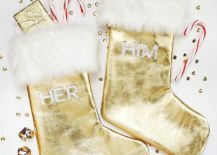 They might not get it right at the first go,; they could create bit of a mess while crafting the decorations and the final product is surely not picture-perfect. 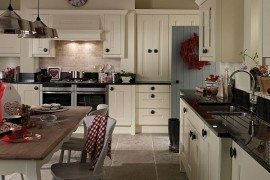 But your guests will understand it; even love it! 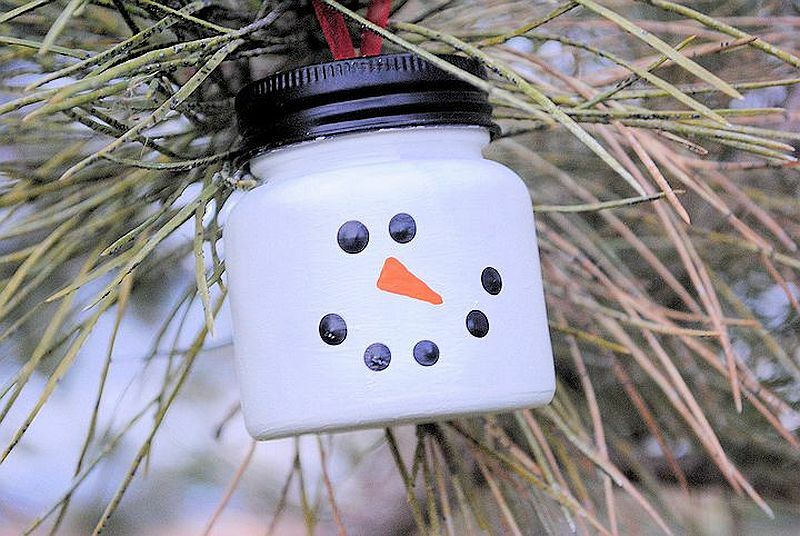 Start off with something as simple as the Tin can snowman or an easy jar snowman ornament. 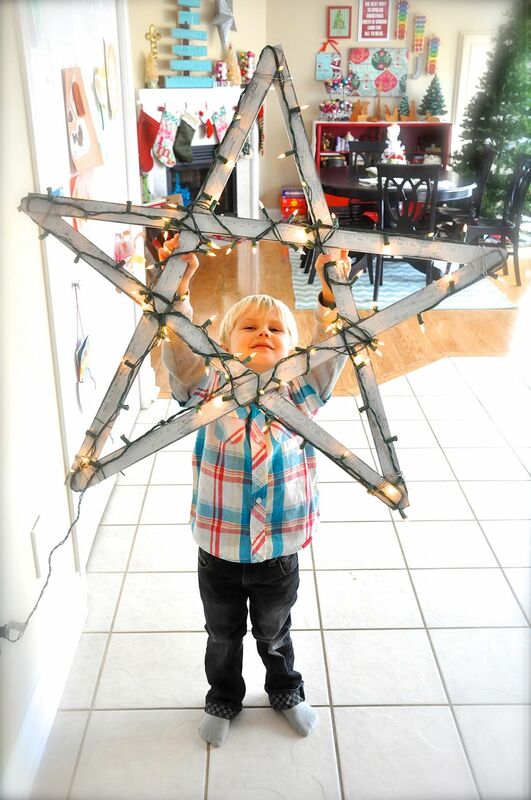 Once your kids are up to speed, give them something a bit more challenging. 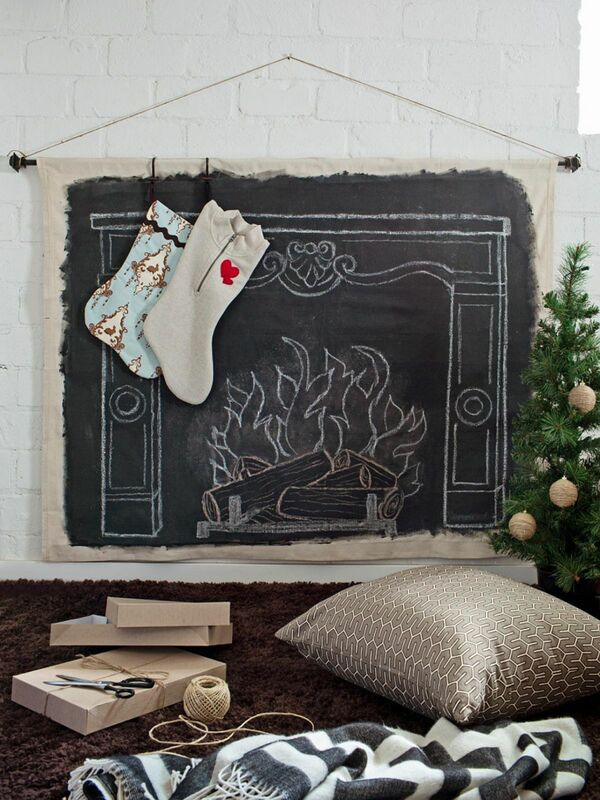 Maybe they can create a chalkboard wall fireplace mantel, decorate the stairway using a garland you already crafted, a few sparkling stockings and some candy canes (well, at least some should make the wall!) 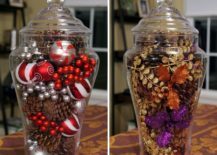 Filling a transparent jar with Christmas ornaments is also a super-easy idea, but do make sure they do not have to move it around too much. 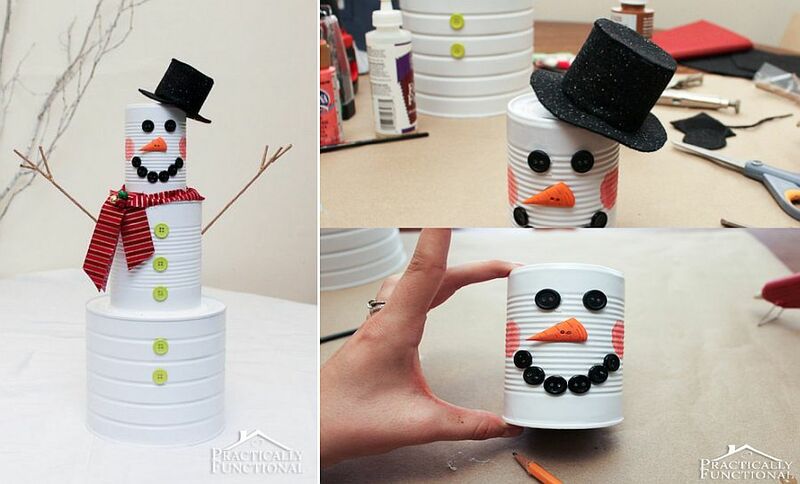 Homemade tin can snowman for kids! 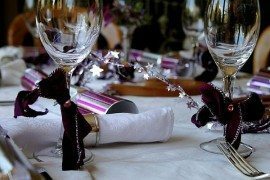 So the rest of your home is ready for Christmas, but it is the large dinner table that seems a bit lonely and not yet festive enough? 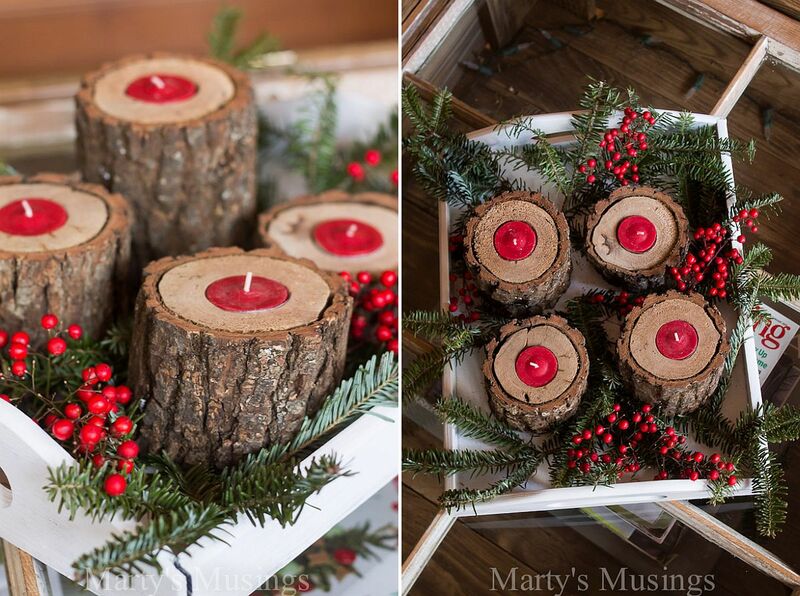 Not to fret, as we have some cool DIY ideas that will bring the season’s joy to your dashing dining space. 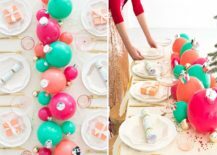 The DIY balloon ornament holiday centerpiece is one of the best ways to add color and cheerful allure to the holiday table without breaking a sweat. 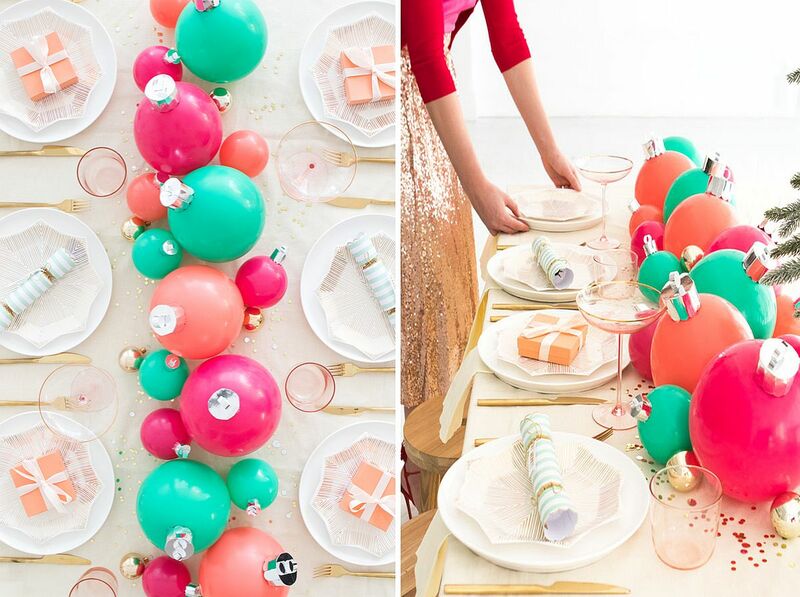 It feels whimsical and yet perfect for a fun party with friends and family. 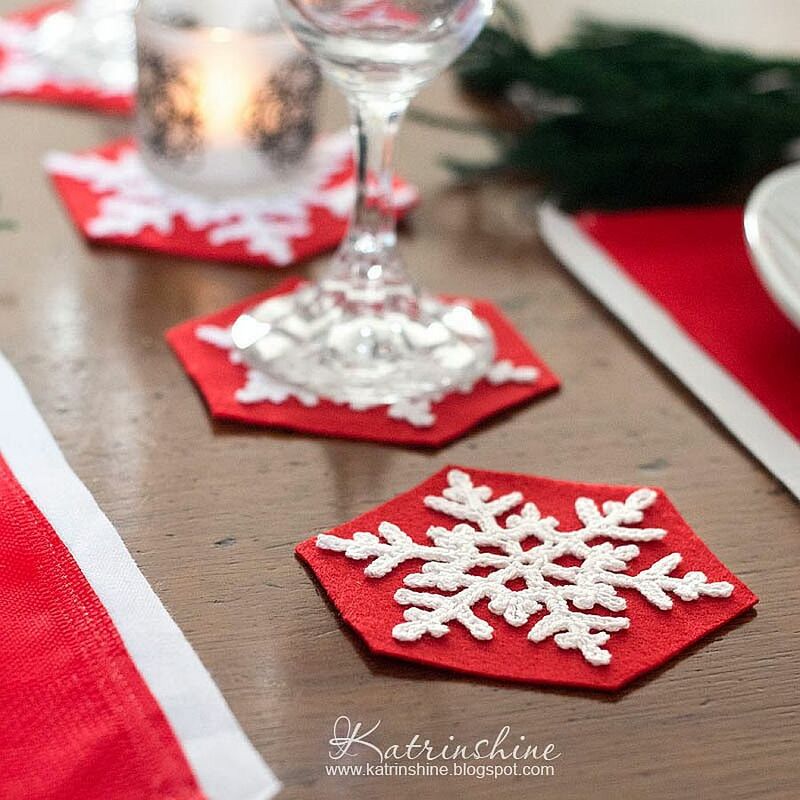 Crochet snowflake coasters are bound to make plenty of visual impact while a centerpiece like Santa on Sleigh is a great conversation starter. 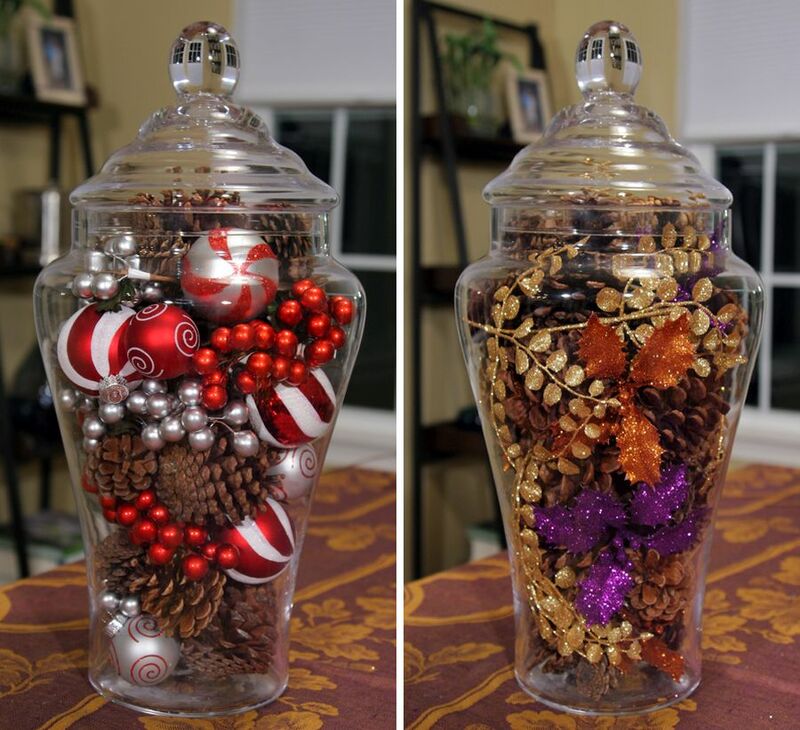 Do not worry if you have still not started on your Christmas decorating. There is plenty of time ahead with all the uber-simple DIYs that we shared with you today. 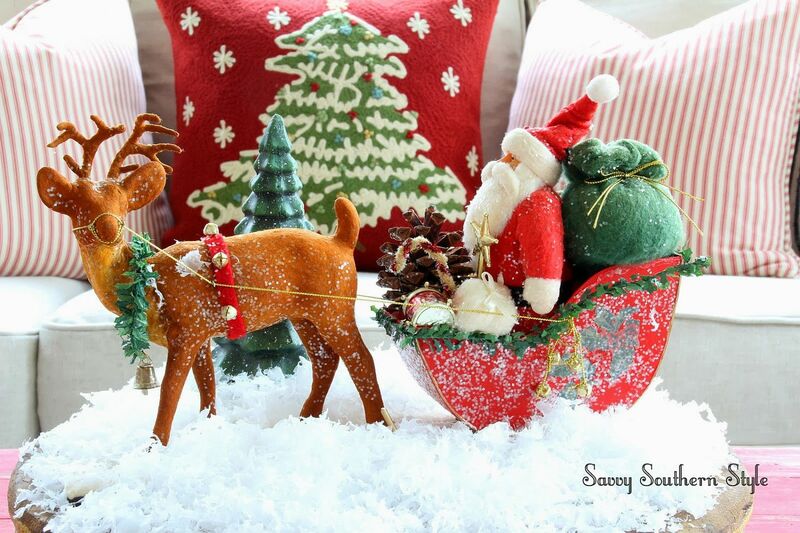 You can also rest assured that we will inspire you with more such ideas in the days ahead… Happy Crafting!